Since 1966, Wayne Machine, Inc. has provided quality job shop machining services to a diverse, and ever expanding group of both local and regional customers. Wayne Machine strives to keep pace with machining technology. Our state of the art CNC machine tools are the norm, rather than the exception. Whether it is regarding a single prototype part, or a large production run, our skilled machinists take pride in their work, insuring that the highest level of standards are met. 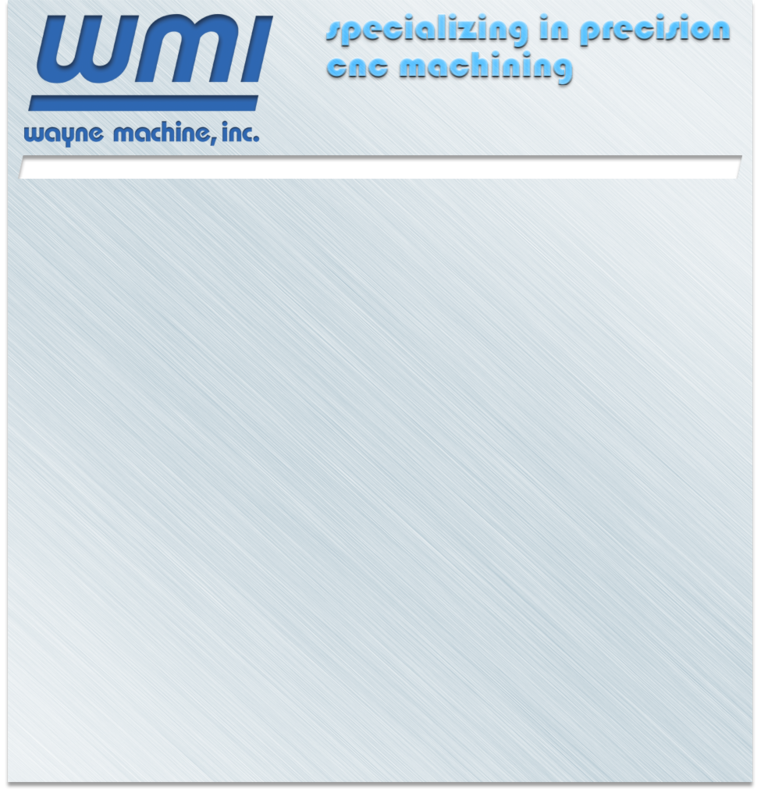 Wayne Machine, Inc. is capable of handling all your precision machining needs. If your parts are steel, aluminum, brass, bronze, or even titanium or plastic, we have the experience and know how to get the job done right at a competitive price. Contact us today for your precision CNC machining needs!